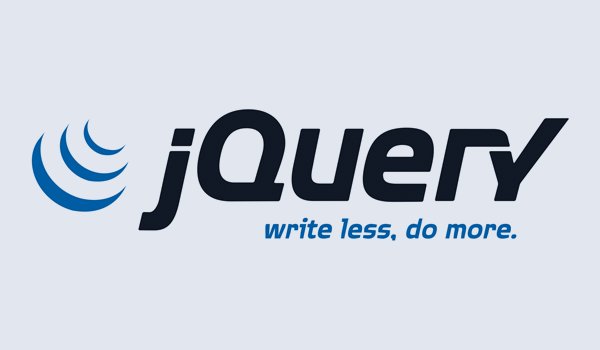 Welcome to our third lesson on jQuery for absolute beginners. In this lesson we will be covering jQuery selectors. If you missed the previous lessons, I encourage you to go through them first. Click on the following links to do so: lesson 1 and lesson2. jQuery offers a very powerful technique for selecting and working on a collection of elements—CSS selectors. At this this point you must already be familiar with CSS selectors. You can use practically all css selectors. The pound sign (#) must precede the id name. Similarly you can select element by tag name in jQuery just as in css. The dot sign (.) must precede the class name. Now, how do we go about selecting the <li> tags in CSS? There are several ways to achieve this but I’d pick one. This is known as the descendant selectors. Since it would be difficult to select the li element by itself, you look for its nearest parent and start moving downwards till you get the li tag. The element you wish to select must come last. Note: do not abuse this method by first selecting 5, 10 parents etc. At most you don’t want to use more than two. These are used to select a tag that is a direct child of another tag. A child tag is the direct descendant of another tag. From the HTML structure above, how do we target the first h1 tag? Sorry, this won’t get the job done! Why? Because since we selected h1 from it’s parent .main-div, all h1 that are children of .main-div will be selected including the last h1. Indeed the last h1 is a child although more precisely a grand-child, .child-div is simply it’s most immediate parent or ancestor. The greater than symbol (>) indicates that the element on the right is a direct child, not grand-child or great-grand-child of the element on the left. Selectors let you select a tag that appears directly after another tag. The easiest way to understand this is to think about the relationship of siblings i.e brothers or sisters having the same immediate parent or ancestor. Looking at the HTML structure above, can you identify elements that are siblings? Now how can we select the p tag immediately after i.e adjacent the h1 tag? Note: there is only one p tag in this case that is adjacent to a h1. To create an adjacent sibling selector, a plus sign (+) needs to be between two selectors (which can be any type of selector: IDs, classes, or elements). The selector on the right is the one to select, but only if it comes directly after the selector on the left. If you are not already familiar with attributes in HTML, I’d quickly give examples. I am sure by now you already have an idea of what an attribute is. src, alt, target, name, href, placeholder, data-point etc are known as attributes. jQuery lets you select elements based on whether the element has a particular attribute or attribute value. For example you could target every <a> tag that have a particular href value or that open in a new window with target=’_blank’. I hope you have been able to at least grasp the basic method of selecting elements in jQuery. In our next lesson we will cover jQuery filters and traversal apis. Mr Ife, this is a very good post. There are some situations when writing jquery in wordpress where the use of $() throws a reference error, then i am required to use jQuery() instead. Pls, what is the logic behind that? The noConflict() method releases the hold on the $ shortcut identifier, so that other scripts can use it. Note that $ is simply an alias or shortcut for jQuery. Thanks for the clarification Ifeoluwa. You rock!